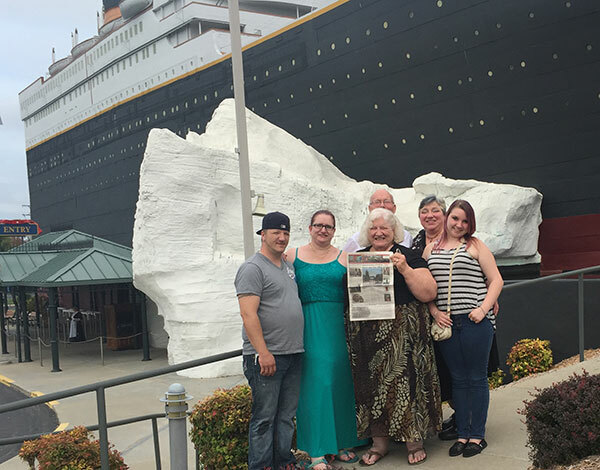 Mike and Belinda Sanderson, of Cedar Springs, Bruce and Myrna Chapman, of Sand Lake, and Beverly Chapman and her daughter Demetria, of Sand Lake, outside of the Titanic Museum, Branson, Missouri. 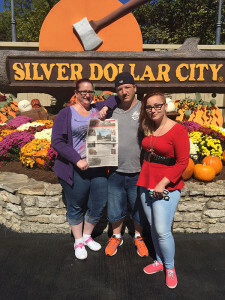 Belinda, Mike, and Autumn Sanderson, of Cedar Springs, at the entrance to Silver Dollar City, Branson, Missouri. 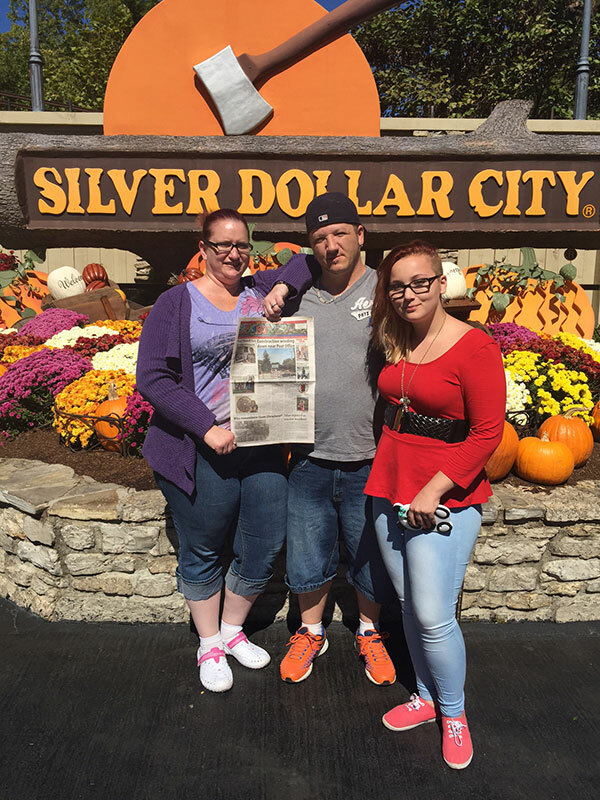 The Chapmans, of Sand Lake, and the Sandersons, of Cedar Springs, travelled to Branson, Missouri to celebrate the Feast of Tabernacles (Leviticus 23:33-43) September 27th through October 6th. For eight days we dwelled in our temporary booths (a rustic cabin in the woods) and attended church services each day. Branson was a beautiful place in the Ozark Mountains and had lots to do, so when we weren’t busy with church activities we got to enjoy some of the local attractions. A group of us went to Silver Dollar City, an amusement park, some of us visited the Titanic Museum, and others enjoyed an aquarium. A few were lucky enough to go to the light and sound theatre to see “Jonah.” There was so much to see and do, eight days wasn’t enough.